Suzanne Somers has brought groundbraking information on issues such as menopause, and anti-aging in her amazingly well researched books and appearances to the public. Most doctors still only prescribe patented hormones, not bio-identical hormones for women going through menopause. 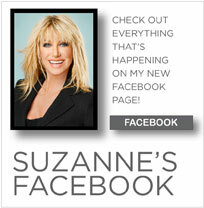 Many women I have guided toward Suzanne Somers research have told me how much their lives have changed for the better!